A massive public meeting was held on April 4 for the inauguration of election campaign of 7-Time MLA com. Jeeva Pandu Gavit for Dindori constituency. 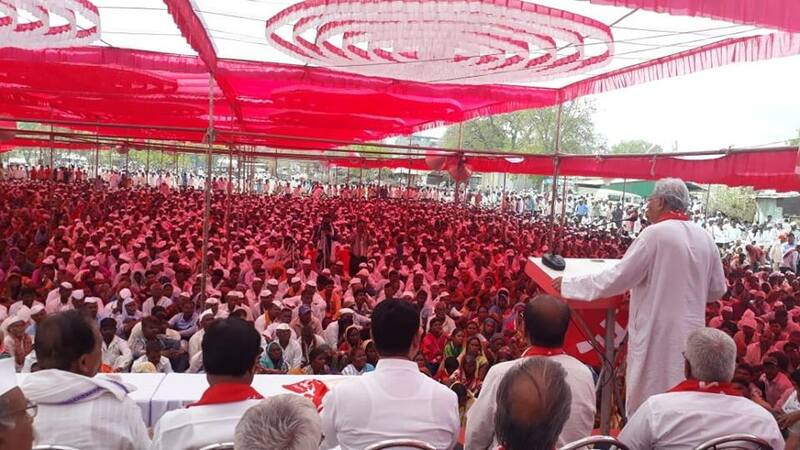 More than 30000 people attended the public meeting which was addressed by CPI(M) General Secretary, Com. Sitaram Yechury, Com. J.P. Gavit, and CPI(M) Nashik District Secretary Com. Sunil Malusare, along with Com. Vijay Patil, Com. Tukaram, Com. Subhash Choudhari.